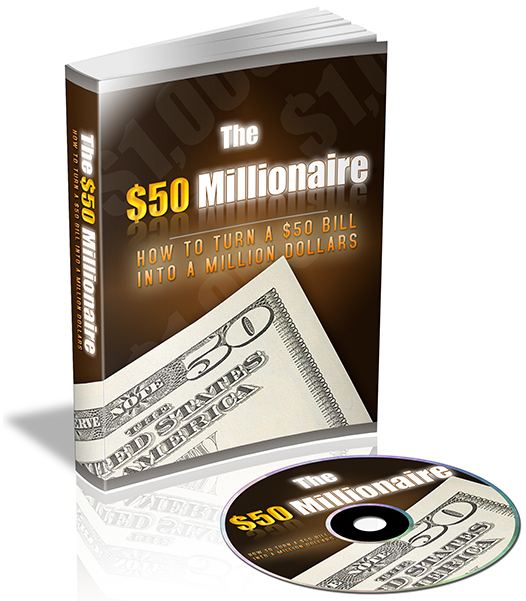 "HOW TO TURN A $50 BILL INTO A MILLION DOLLARS!" GAIN ACCESS TO THE MOST SOUGHT-AFTER PIECE OF AUDIO MATERIAL IN THE WORLD. This audiobook, created by highly distinguished and successful individuals in the internet space will reveal some of the best kept secrets on the internet and teach you how to amass massive sums of money from virtually nothing. Listen to some of the top performing entrepreneurs on the web, take you through how they have been able to build and sustain large income streams on the internet with no investment and a few hours a week. THE AUDIOBOOK COMES WITH A FREE HOME BUSINESS VIDEO COURSE PACKAGE VALUED AT $59.95. THIS IS A KILLER BARGAIN AND A SMALL PRICE TO PAY FOR THE MOST SOUGHT-AFTER KNOWLEDGE ON YOUR WAY TO FINANCIAL INDEPENDENCE AND PEACE OF MIND.